I love the different fruits I’m able to grow on The Farm. But I’ll admit, it’s definitely easier to go and buy the fruit. As corny as it may sound, I truly love growing what I can in my own kitchen. When I know that a freshly opened jar of a canned good was picked, cleaned and finished by me, I get so much satisfaction! That’s just one of the joys of home preserving: knowing where the food comes from. And this canned cherry jam is no exception. You can either choose to eat it without the canning process straight from the refrigerator or place the jam in jars and water bath it for a few minutes. Cherries are a little more work than other fruits. But after the pitting is done, sour cherries are amazing to use in baked goods and especially in jam. 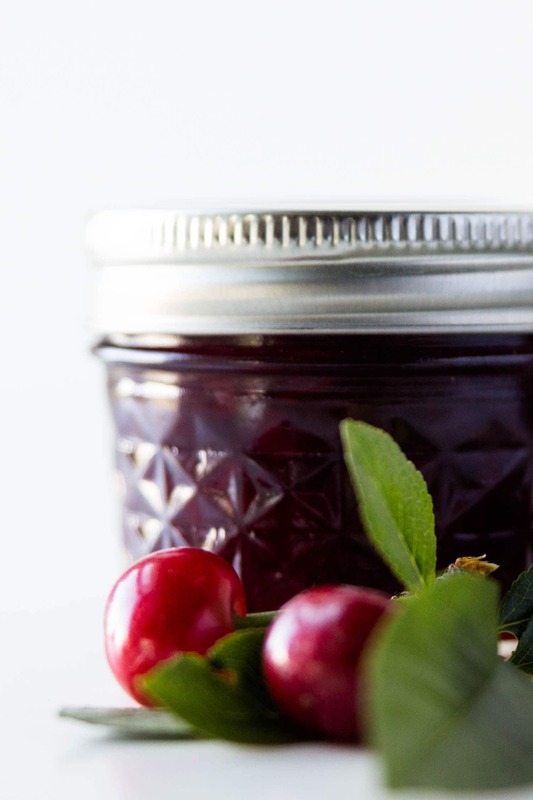 With a few sweet cherries mixed in and a dash of optional brandy, this jam is worth the work! 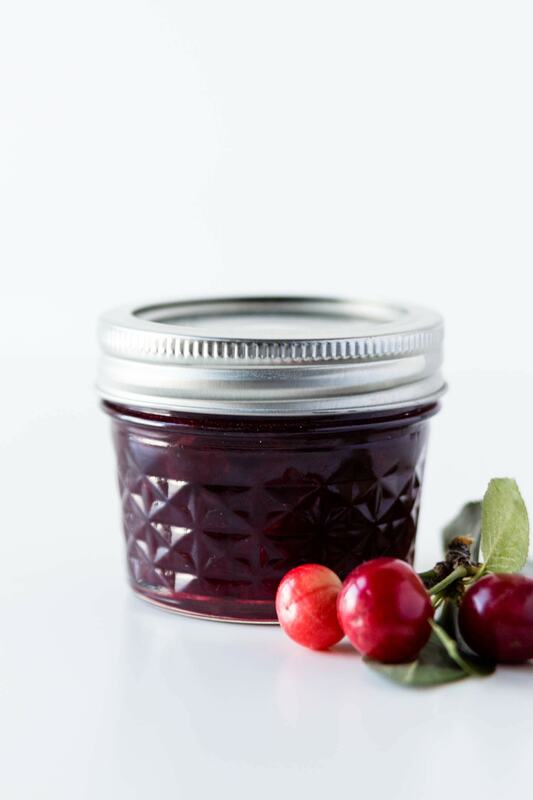 This cherry jam is a perfectly sweet treat to make at home. Sour cherries are combined with sweet cherries and sugar to form the perfect balance! To start, place a small plate in the freezer to check the thickness of the jam later. Lightly mash cherries into measuring glass to adequately measure and begin drawing the natural juices. Combine cherries, sugar, lemon zest and juice in a large, heavy-bottomed kettle (8-quart). Bring the jam to a boil and then slow simmer over medium-high heat. Mash the mixture while it cooks to help break down the cherries. 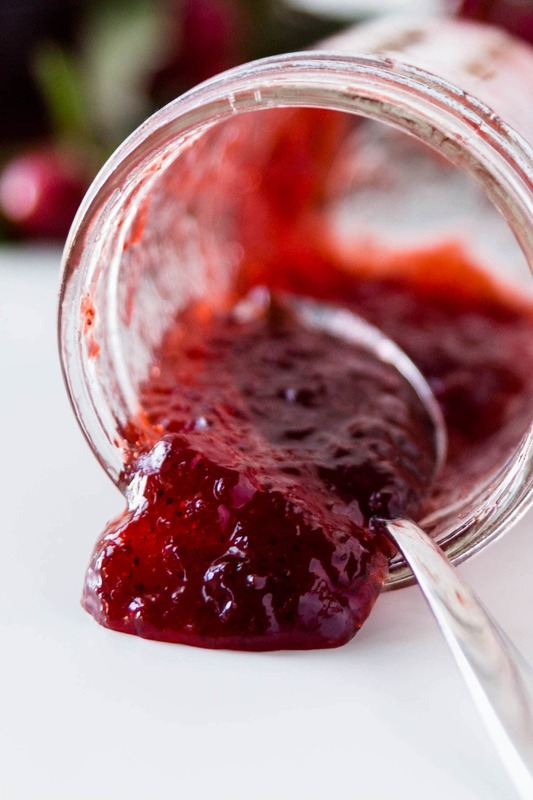 This recipe contains no added pectin so the jam thickens naturally with sugar and cooking. Cook for at least 25-30 minutes. If your cherries aren’t breaking down, you can quicken the process by using an immersion blender to combine the jam. I like to leave some pieces intact so you know what type of jam it is. Check the consistency by spooning a small amount of jam onto the prepared frozen plate and let it cool. Cook to the consistency you desire. 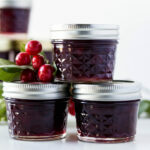 The jam can be used immediately or canned to preserve for a longer time. I know it seems like a lot of sugar, but it is needed to thicken the jam. Plus, jams purchased from the store usually have even more sugar! I use an 8-quart kettle to cook my jam, which is important because as the jam cooks and thickens, it can bubble and splatter. A large kettle keeps the jam contained. You can cool the jam and keep it in the refrigerator or process it in a hot water bath for ten minutes to seal. The sealed jars will keep for up to a year in a cool, dark place. If you are uncertain about canning, make sure to watch my canning 101 video to prepare yourself. This jam is wonderful on toast or mixed with cream cheese on your morning bagel. I love making and giving jams as gifts. Enjoy!